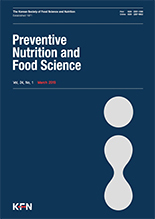 In Guk Hwang, Young Jee Shin, Seongeung Lee, Junsoo Lee, Seon Mi Yoo,(2012).Effects of Different Cooking Methods on the Antioxidant Properties of Red Pepper (Capsicum annuum L.).Preventive Nutrition and Food Science,17(4),286-292. We investigated the effect of various cooking methods (boiling, steaming, stir-frying, and roasting) and three cooking times (5, 10, and 15 min) on the antioxidant properties of red pepper. Raw and cooked peppers were measured for proximate composition, ascorbic acid (AsA) content, total carotenoid content (TCC), total polyphenol content (TP), and 1,1-diphenyl-2-picrylhydrazyl (DPPH) and 2,2"-azino-bis(3-ethylbenzothiazoline-6-sulphonic acid) (ABTS) radical scavenging activities. Results showed that the proximate composition, AsA content, TCC, TP, and antioxidant activities were significantly (p<0.05) affected by the cooking procedure; the loss rate varied among individual compounds. Boiling and steaming significantly reduced AsA content (24.3～66.5%), TP (13.9～54.9%), and antioxidant activity (21.7～60.5%) in red pepper, while stir-frying and roasting slightly reduced AsA content (2.7～25.9%), TP (1.8～4.9%), and antioxidant activity (4.9～17.9%). The highest loss was observed after boiling, followed by steaming, roasting, and stir-frying. Stir-frying and roasting better preserved AsA content, TCC, TP, and antioxidant activity. In conclusion, dry-heat cooking methods such as stir-frying and roasting may be preferred to retain the nutrient compositions and antioxidant properties of red pepper.